The Nissan Kicks should be looked at as a blank canvas, the opportunities to make this vehicle your own masterpiece are endless. The first time you sit in the Kicks won’t be the last time, with exceptionally comfortable seats and leather-wrapped accessories the Kicks interior is as appealing as it’s aesthetically pleasing exterior. You will be able to enjoy personalized tech such as Bose speakers built right into the headrest and best-in-class fuel economy. Nissan Intelligent Mobility will allow for a stress-free commute and safer driving experience. You'll have a peace of mind. with automatic emergency braking, blind spot warning, and rear cross traffic alert in addition to the intelligent around view monitor. 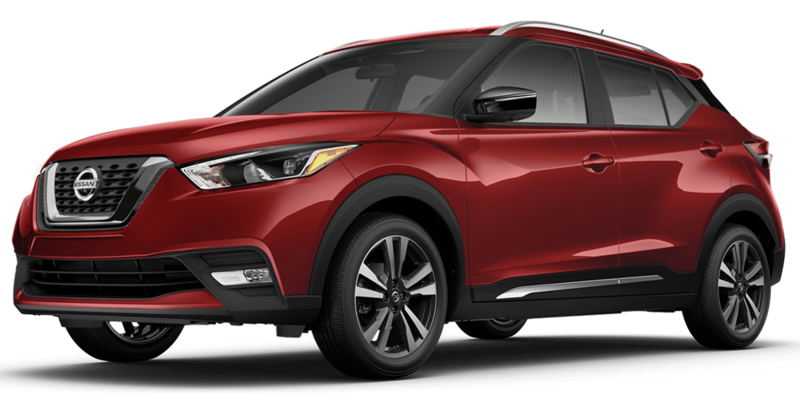 Check out the Nissan Kicks today. Efficiency is key, and the Kicks provides just that. Fitted with features specifically designed to keep you in control at all times, adapting to the conditions is no difficult task. If fuel economy is your top consideration in a new vehicle, you'll be pleased to know the fuel economy is outstanding both city and highway 31city/36highway. Come in to Quirk Nissan located in Quincy, MA today and schedule a test drive and find some of the lowest Kicks Lease offers and best prices! Excludes taxes, doc, acquisition, title, license and first payment. $2,999 initial down payment required at consummation. (INCLUDES $500 manufacturer's rebate applied to $159/Month lease or $259 with $0 initial down. Offer valid only when financed through Nissan Motor Acceptance Corporation.) Subject to residency restrictions. 2019 Kicks S Lease model 21019 subject to availability to well-qualified lessees through Nissan Motor Acceptance Corporation. $19,970 MSRP incl. destination charge. Capitalized cost of $19,248. Monthly payments total $5,724 or $9,324 with $0 down at lease end, purchase for $10,584 plus purchase option fee up to $300, plus tax, or pay excess wear use plus $0.15 per mile for mileage over 12,000 miles per year. Lessee is responsible for maintenance and repairs. A disposition fee is due at termination of lease term. No security deposit required. Must take delivery from new dealer stock. Offer ends 04/30/2019.